This is about as simple as simple can get. All you need is fresh kale, a little bit of olive oil and salt and pepper. Preheat the oven to 300°. Wash and dry the kale (make sure its really dry). Separate the leaves from the spine of the leaf and rip into large sections. 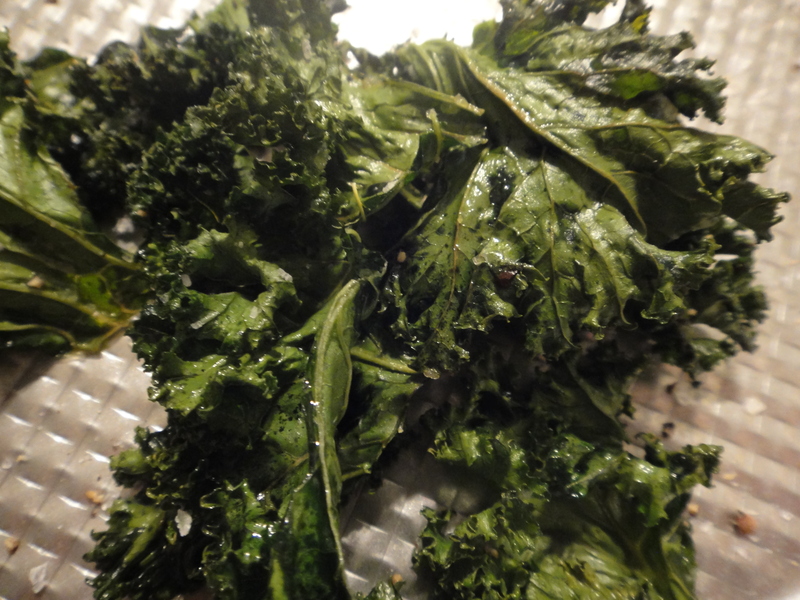 Place kale sections in a large bowl and toss with olive oil until lightly coated. Spread leaves out on large baking sheet in a single layer. Don’t crowd the leaves too much or they will steam and not get crispy. Sprinkle with some sea salt and fresh ground black pepper before placing the trays in the oven for 20-25 minutes or until the leaves are crispy. Enjoy! These sound so great and I like the idea of chips that are healthy. Imagine that.